At the end of the year, it’s time for a final report on how reading challenges went! I wanted to do more rereading, and have definitely done that… In the last quarter of the year, I finished rereading the Betsy-Tacy series, and reread a few beloved favorites like If You Want to Write by Brenda Ueland, A Solitary Blue by Cynthia Voigt and The Mischief of the Mistletoe by Lauren Willig. I also reread Andre Norton’s wonderful Gryphon trilogy, and started into A Series of Unfortunate Events on audiobook. It’s been a fun time revisiting some old friends this year! A book based on a true story: I tried not to put rereads on this challenge, but I’ll make an exception here and list both the Little House series and the Betsy-Tacy series…each one modeled after the author’s childhood. That leaves just three I didn’t complete, and those were consciously skipped. One is a book I was supposed to read in school but didn’t and, well, there aren’t any like that…I was a conscientious student! Second, a book that scares me–part of what I like about being out of school is that I don’t have to read books that scare me! And finally, a book that made me cry…no book has ever made me actually shed tears. Books have been sad or heart-wrenching, but I mostly only cry when I’m frustrated or feeling misunderstood–and that’s one of the things I love about books. They never make me feel that way. Let me know if you’re curious to know more about any of these books…and I’d love to hear if you have any reading challenges going on for the year too. I’ll have an update about my 2016 reading challenges soon! I’m impressed with how disciplined you were to complete so many challenges during the year. Well done! Hope 2016 is just as successful for you! 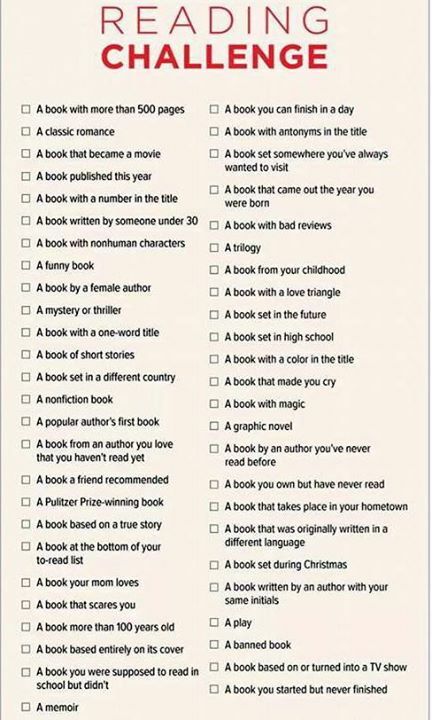 I didn’t undertaken as many reading challenges this year which I think I should try to do next year – of course you had all your challenges and a new book! Well done for 2015 and hope your 2016 is just as good – or, why not even better.